Thanksgiving kicks off a season of dinner parties and holiday meals, so I’ve put together a few options for setting a festive table. I kept it it monochromatic, adding metallic accents instead of color for interest. Here are the base pieces I used (some I own, some were borrowed). Here are just a few of the possible combinations (and no, I don’t mind mixing silver and gold). The Marimekko Lumimarja tablecloth was a gift from my mom last year, but it is available this year in gold. I also mixed in bird napkin rings and plain white napkins, along with our everyday flatware. i really enjoyed this post…gives me some ideas..
I’m not convinced by any of the combinations. Maybe because I do not like the napkin with the bird? I am in love with the gold accents!! It adds such a nice feel to each one! And the birdie napkin rings are awesome! I like the 8+6+3+5 combination, though all dishes are beautiful! Love those bird napkin rings! Thanks for posting this! I have silver chargers and plain white plates but nothing to spice it up. Buying a few fun salad plates is totally doable! I liked the top right the best, but I’m a simple gal ;) hooray for the holidays!!! Every single combo looks fabulous – hard to pick just one. I really get the sense of the value behind buying dishes that are all easily coordinated. You have so many beautiful options when it comes to creating a gorgeous table setting. Plate #9 is my favorite, so any combination with it gets my vote! 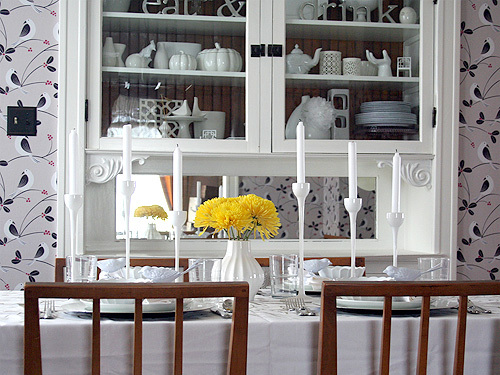 Lovely table settings and I like the new white trim in your dining room. They’re Blomster candlesticks from IKEA. ooooh! I’m lovin’ the 8 +6 + 3 + 5 combo…that wood-slices plate is my fave! I just emailed several people in my life, letting them know how fantastic those bird napkin rings are. Hint hint!!! I love the last option especially the big full table picture of it. I’m so glad that you posted this beacuse my Mom was trying to convince me that my table needs more color. This is prook that metallics and neutral can look lovely! Bravo! gorgeous. 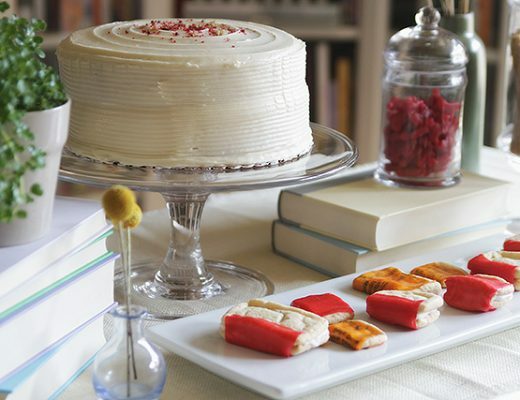 i love the look of white on white, but it is so hard for me to resist the buying of colorful dishes. i do tho, because i know that the food will be more beautiful on white plates. Those are all so pretty! AND they look great with the newly painted white dining room trim! Have a wonderful Thanksgiving! Love! I can’t even begin to pick a favorite! Those napkin rings are amazingly cute! I’ve loved the Ikea candlesticks for a while now and now you have really sold me on them! Everything is beautiful! You have such a nice way of elevating the everyday. Love your taste (eew–is that gross somehow?) and take on things. This is pretty and elegant. Great post. I have the West Elm salad plates! 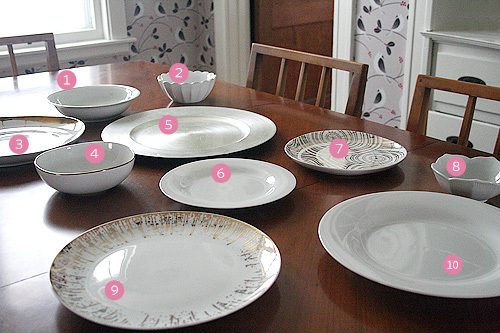 We looked at the Crate and Barrel dinner plates too…. but I liked the idea of sneaking in a fancy salad plate without the cost of a new set of dishes. Could you please tell me where you got the ceramic vase in the center of the table? I really want a white nice everyday vase and I think that one would be perfect! I picked that vase up from Crate & Barrel several years ago. Jonathan Adler’s lantern vase is similar. The candles in the last picture are so pretty against your new white trim! :) Those options are beautiful … and I really love the bird napkin holder. Too cute! ALL awesome. Love your style. I am sometimes leary about mixing silver with gold, but the way you did it just looks so right! I’m going to reevaluate some silver/gold picture frame pairing issues I’ve been having . . .
Do you realize how genius you are??? This post is so creative and genius. Hope you had a fantastic Thanksgiving! Beautiful!! I always have to consult my hubby about where the spoons/forks/knives go…his mother taught him well! haha….shameful of me, i know! 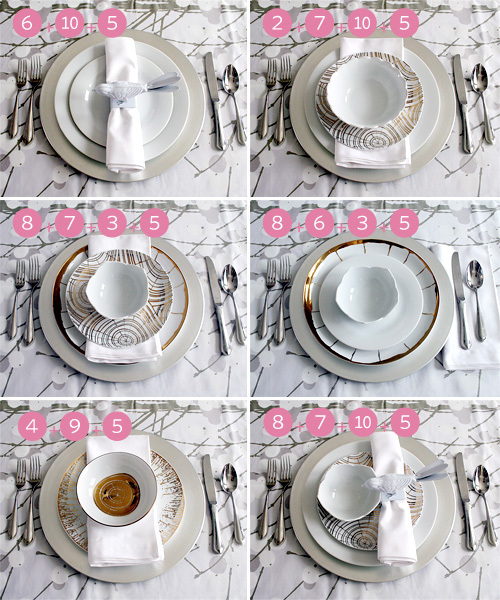 I absolutely love these place settings and white is just the best color for dinnerware. The pale pink napkins add the right hint of color. Lovely! 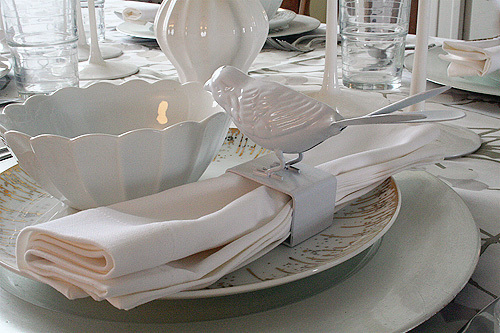 ohhh – the birdie napkin ring ties so well with the wood dishes! you know i love those c&b ones though :) love the all white and gold together! 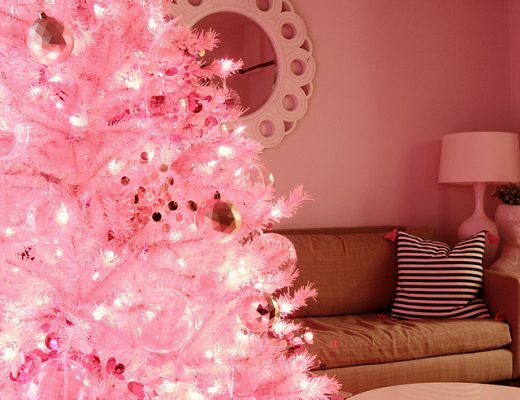 my own was very white inspired too… keeping it simple this year! I love, love, love this little tutorial! It’s great; you must have had a fun time putting it together. I wish I was this organized – maybe one day – when the kids are like eighteen…?? ?… Love you and your blog! Those birdie napkin rings are amazing. Together with white china plates and linen cloth I would love them on my table this year. I realized that I must be the only one who does not like the napkin with the bird … Is it serious?